Local outdoor specialty retailers unite! 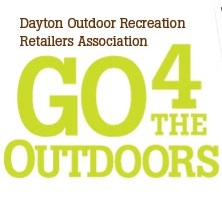 Dayton Outdoor Recreation Retailers Association is a group of locally-owned, independent outdoor specialty retailers. We all began our businesses because of the passion we have for the outdoor activities we participate in. Our passion includes helping others learn more about these activities, so they may share in the enjoyment of the outdoors. As a group of locally-owned independent specialty retailers, we carry a comprehensive array of products and services for outdoor enthusiasts– runners, cyclists, climbers, backpackers & hikers, kayak & canoe paddlers, snowboarders and skiers. Our stores and facilities have become destination points in the Miami Valley region and beyond. This entry was posted on Sunday, May 24th, 2009 at 9:44 pm	and is filed under dayton rocks!. You can follow any responses to this entry through the RSS 2.0 feed.